This is so cute! 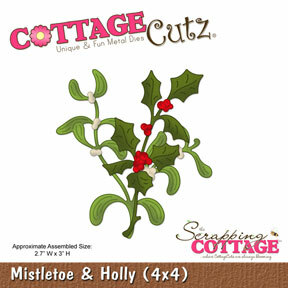 I love the mistletoe and holly dies! 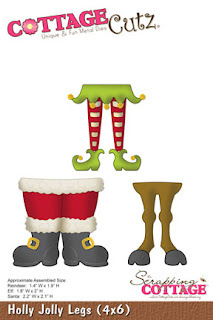 Clever way to use the Santa legs! Great fold and I love the plaid! Now that is creative. I love thinking outside the box on these dies and you have accomplished that perfectly. 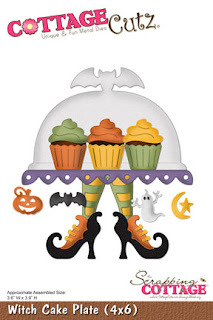 I would love a plate like this in real life!!! So fun and so pretty. It's a Country Christmas at the Cottage today...lol Beautiful Cheryl. Wow Cheryl, you have used so many different CottageCutz dies and combined them so well together. I love it!